If all goes to plan, Jake Roberts will wake up Saturday morning and be 3-0 as a pro. The 24-year old Roberts out of St. Charles MMA has put together an impressive resume' with 10 combined wins as an amateur and pro. It's his submission game that keeps his opponents up at night; every trip to the cage has resulted in a Roberts' victory with a first round submission. It's hard to argue against that "the North County Nightmare" has a very bright future ahead of himself, but when you dig deeper you realize the Robert's success is part of a system of training that has continually produced top flight athletes. Roberts continues a dynasty of fighters from the SCMMA camp that includes three current UFC athletes: Lance Benoist, Joshua Sampo, and Alptekin Ozkilic. A highly respected Strikeforce veteran: Matthew Ricehouse, and many other professional fighters that have dominated the local region. Mike Rogers, the veteran coach of SCMMA, a collegiate wrestler and former fighter himself, will be entering his 8th year as the outspoken, emotional leader of the team. "Mike was driving down the road and found a stray dog, took him inside and made him a good dog." Roberts said in regards to himself. It's in this furnace of hard training and camaraderie that has forged Roberts into a serious yet determined fighter. "Me and Sampo haven't always seen eye to eye," Roberts said. "But I always wanted to be Josh Sampo, I always wanted to be Matt Ricehouse, Lance Benoist, Alp Ozkilic. What they had is what I want, and if they pass the torch to me I want to take the torch and take it as far as I can. When I get as far as I can, I want to pass it down to someone else"
Robert's mixed martial arts journey began like most people, in the introductory classes at a local gym. "When I started I was at another gym in their beginner classes." Roberts said. "Beginner kickboxing classes, beginner jiu-jitsu. I was toying with people and I didn't know anything. So then I went to a hole-in-the-wall gym where I just destroyed everyone. I thought I was the baddest man alive." That confidence quickly came crashing down once Roberts made the now permanent move to SCMMA and began training with his new - but already well established - teammates. "I came here and just got destroyed." Robert said. "It was like learning how to walk again, how to talk again. It puts it in perspective that there is always someone out there that can beat you up. You have to be on your game, and train as hard as you can every day." 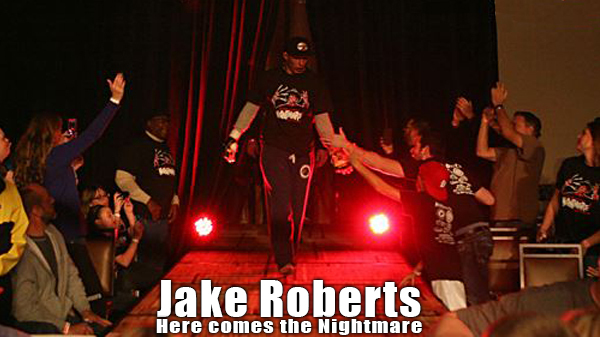 In his four and a half year MMA career, Roberts has rode the ups and down that every fight team must endure. "A lot of people thought St. Charles MMA was falling apart," Roberts said. "But we're not. We have a new breed of fighters coming, and we'll be just as good as ever. I want to be the guy that people look up to when they come in the gym same way I looked up to Sampo, Ricehouse, Benoist, Alp." In perpetration for Friday's opponent Mike Sanchez, Roberts has relied heavily on teammates Kirk Huff and Travis Draper. Draper will compete alongside his teammate on Friday's card. "I feel like the best guys near my weight class are in the gym." Roberts said. "You don't get better than Travis and Kirk, and you won't see that fight. We kill each other in the gym every day. That fight is just too pricey for this region. I feel like there are a lot of great fighters out there, but we have the best here in the gym." Despite his unblemished success inside the cage, Roberts is very quick to point out the sobering reality of how quickly one's career can turn with a impressive level of maturity not seen in most of his peers. "You've seen many careers promising turn out very bad." Roberts said. "A perfect example, Joe Stephenson or Paulo Filho, they looked amazing and fell apart. In four years I want to be a UFC contender. I want to be the best in St. Louis, and I want to be the best I can possibly be." Roberts understands there are detractors. "I feel like people think I was protected," Roberts said. "I was taking safe fights. Looking for easy way outs to spread my name. I don't want that at all. Every fight you go into is scary. You have a little bit of fear because there is someone out there that can beat you up. You have 4 oz gloves on and you can get knocked out. You can get submitted if you have a lapse of judgement. Every human has fight or flight and I was taught not to run away." The sport also works as mental health therapy. "This lets me know I'm alive." Roberts said. "We all get a chance to do something with our lives, and I want to do something meaningful. If I can do this and spread a positive view on the sport or a positive view on myself and stay out of trouble and find something constructive to do. It's a beautiful violence. I'm not out hurting people, not out at bars smacking people. It's just good for me. There were plenty of ways to take my life, and this was the best way I could take it. If I didn't have the gym, I'd probably be on a giant prescription of Xanex." A big part of Roberts development as a pro has come in the strong relationship with fighter promotion company Rumble Time Promotions. Rumble Time President Steve Smith has made Roberts a focal point for three of his last five MMA events, including Friday's bout which will feature Roberts in the main event. This will be the seventh time Roberts has competed for Rumble Time. "Rumble Time has helped me a lot." Roberts said. "They've helped me keep some of my sponsors. Steve has helped me through a lot, he promotes me very well. He back me 100-percent and I back him. I'll fight for them until I get called for a bigger show." 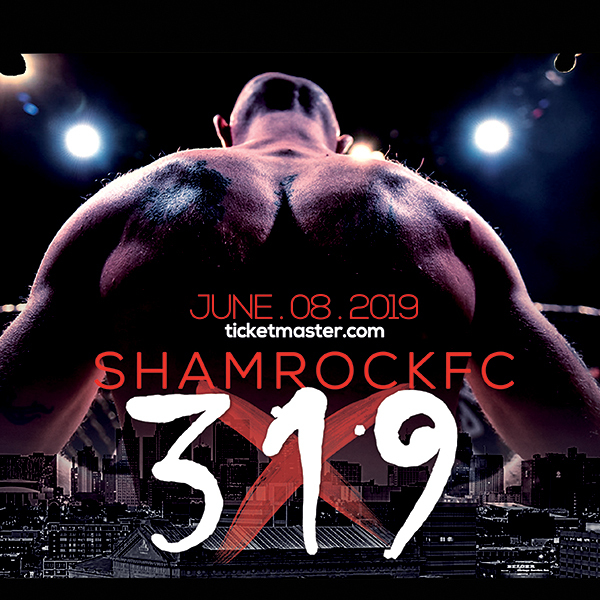 Fighting for Rumble Time has become familiar for the talented lightweight, but he does see a future where he has to leave the comfy confines of Ameristar Casino. "I'd love to travel some place to fighter where people want to throw a soda at me," Roberts said. " I haven't had that opportunity yet. I've played football for many years and have gone places where people didn't like me and I think I thrive on that. I want nothing more to prove people wrong." Roberts vs Mike Sanchez headlines Rumble Time: Rage. You won't want to miss this clash of an upcoming lightweight prospect and a veteran fighter out of a respected gym in Wisconsin. "The people I have to train with are some of the best in the Midwest," Robert said. "I go out there and fight people who aren't up to par with the level of pro training partners I have. But I think it will be different with this fight because this guy is a MMA veteran, he's going to come out ready to fight, he's aggressive, and will be in great shape. I think this is my toughest fight to date."